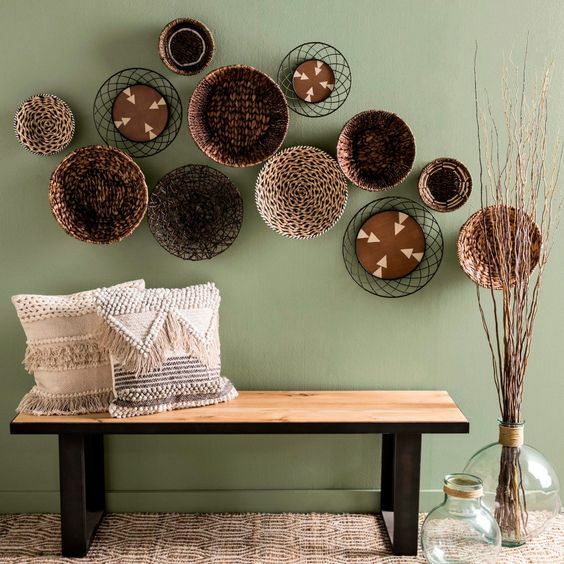 Boho chic style is very popular now, we can see it everywhere – in outfits, in event themes, in home decor. 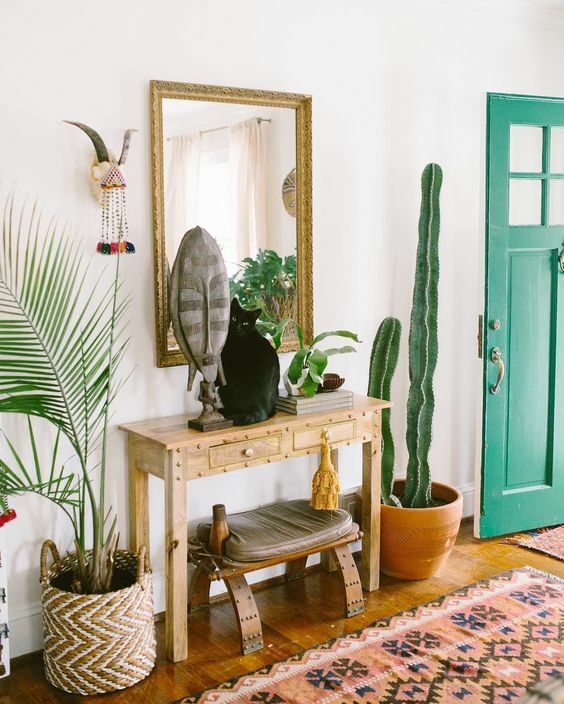 If you are a sucker for this style and want to recreate it at home, you’ll love today’s roundup as it’s dedicated to boho entryways. 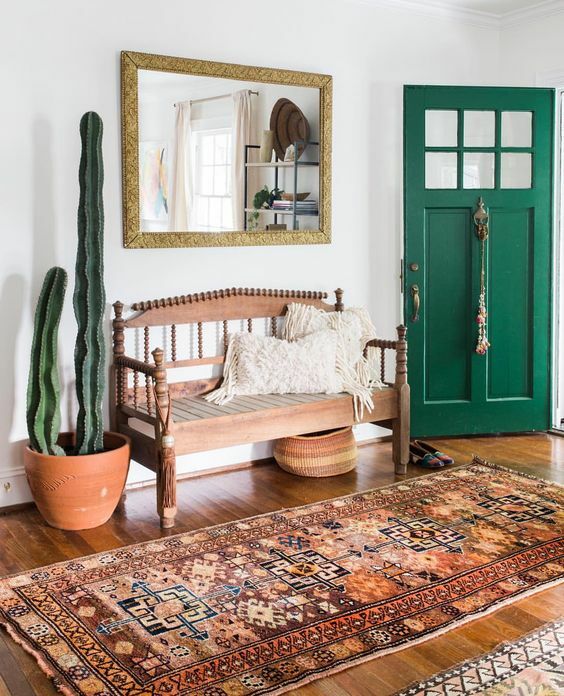 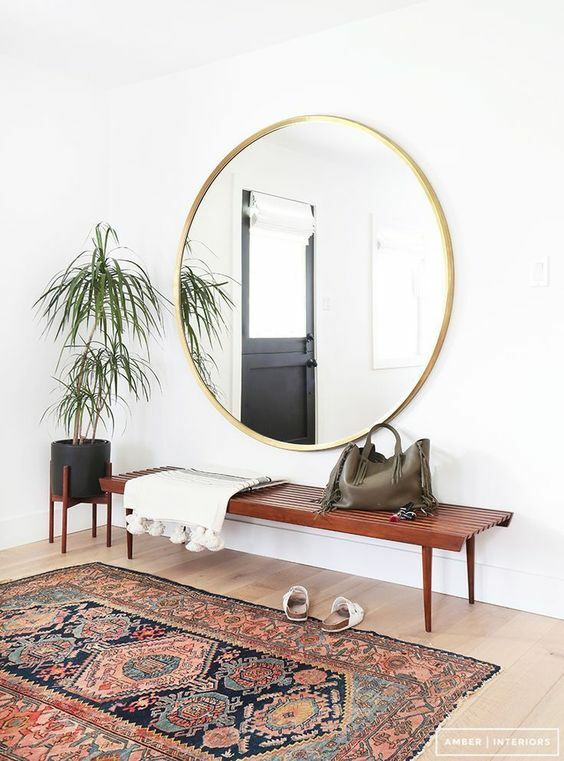 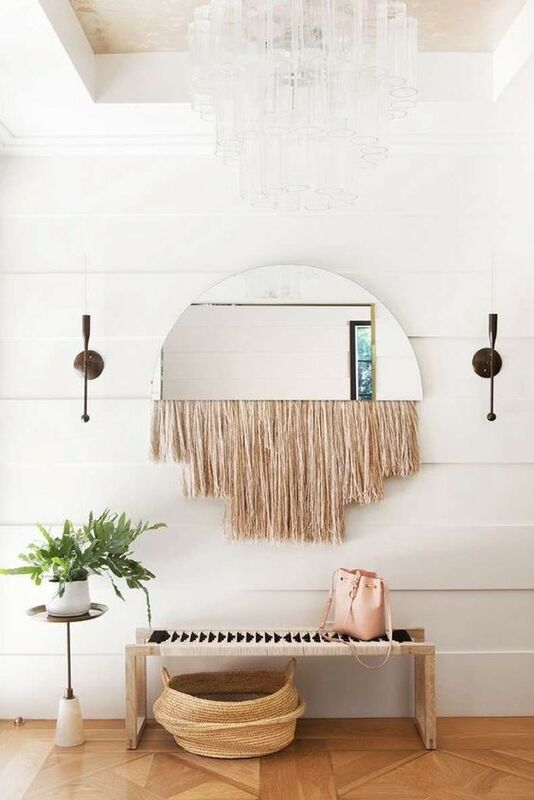 Let’s take a look at some boho furniture and decor ideas to pull off this style in your entryway. 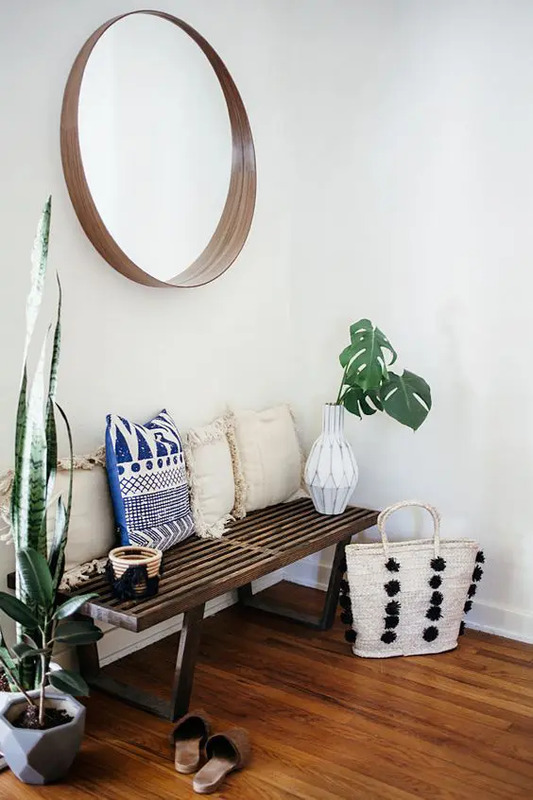 Furniture is important for every space, and even if your entryway is small, you’ll need some: a console, a bench, an ottoman, some racks and shelves. 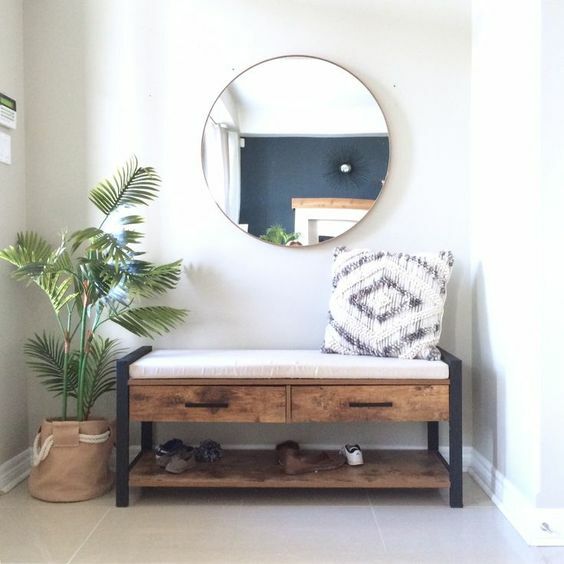 If you can’t accommodate them all, think of what is necessary for you: a bench, a shoe rack, a console or an ottoman. 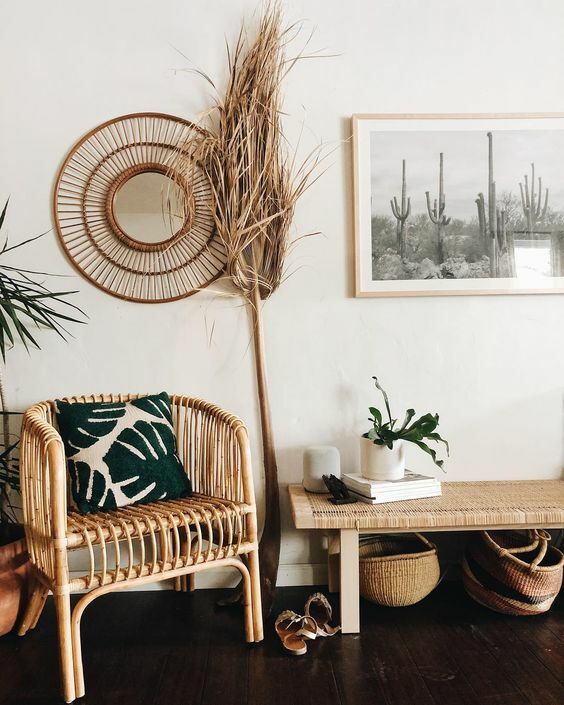 For a boho feel, go for rattan and wooden furniture, for woven seats – of leather or yarn for a catchy look. 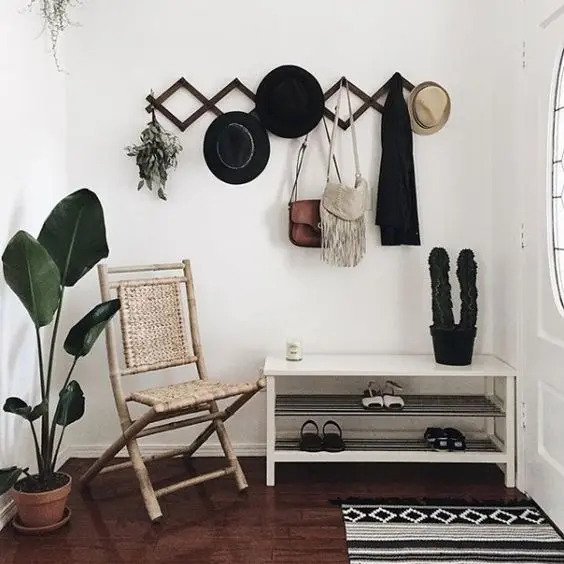 It can be vintage furniture or more modern with a boho feel – upholstered and woven seat benches, rattan stools and chairs, simple wooden racks and other furniture; leather for upholstery is also great for a boho entryway. 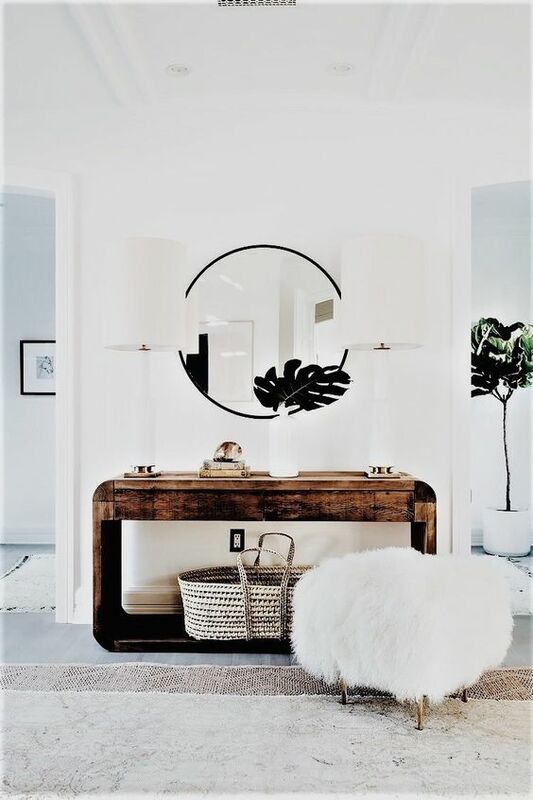 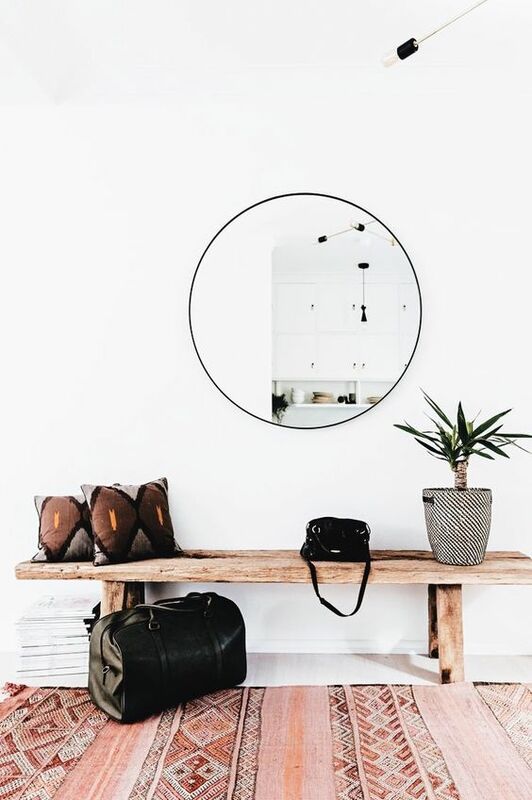 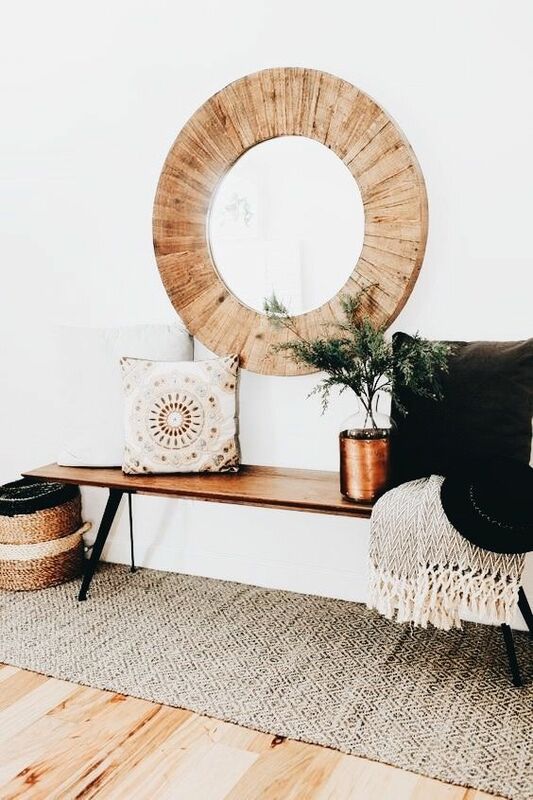 As for mirrors, go for wooden frames and woven ones, too, and I recommend round frames and oversized mirrors to make a statement. 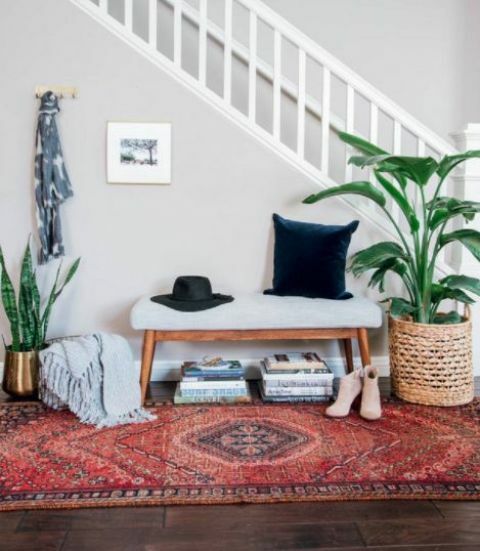 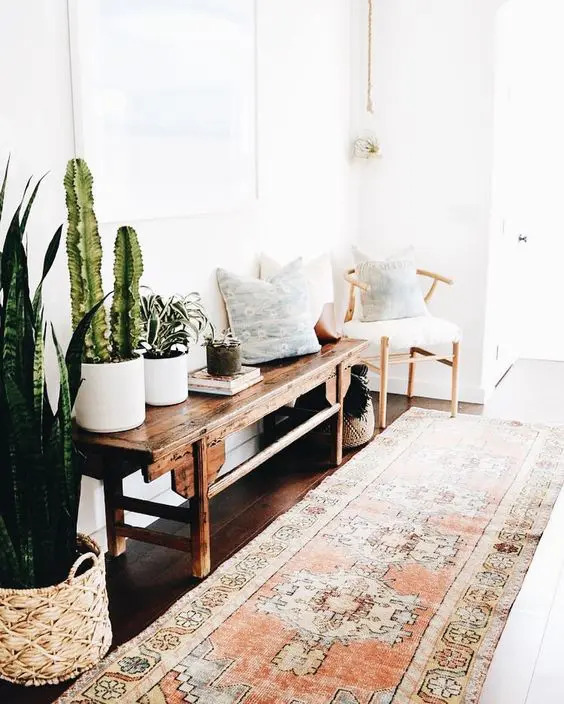 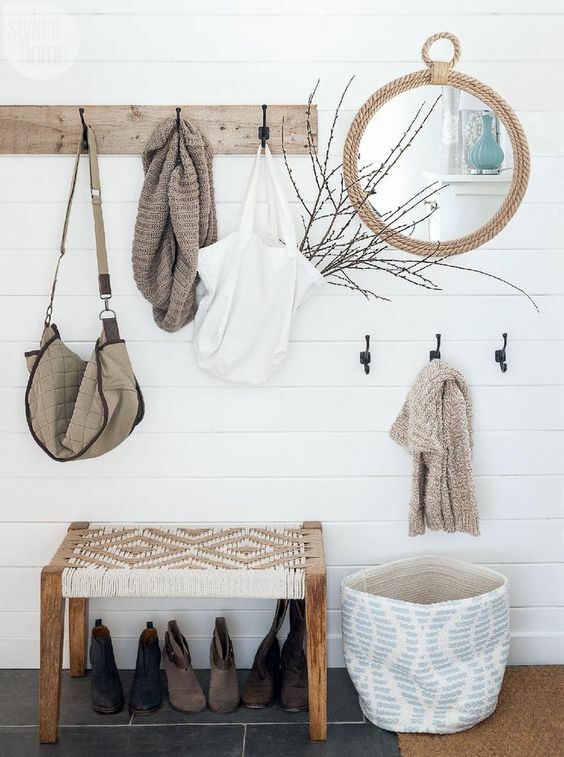 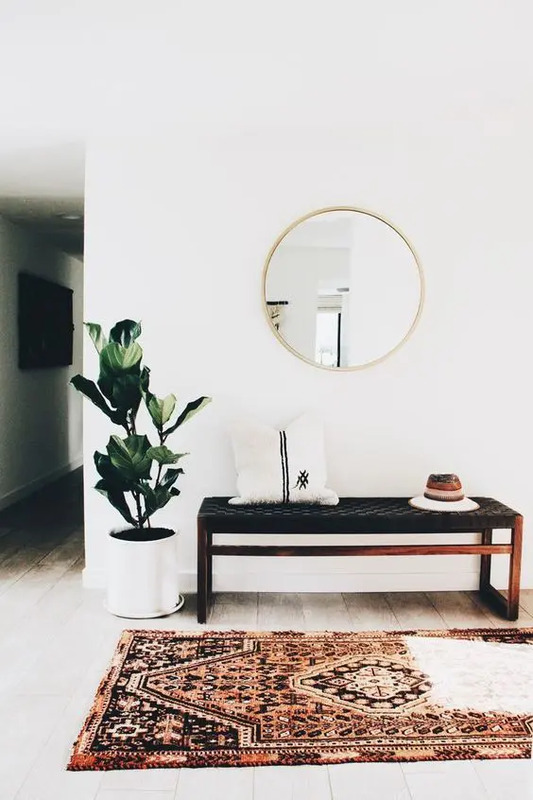 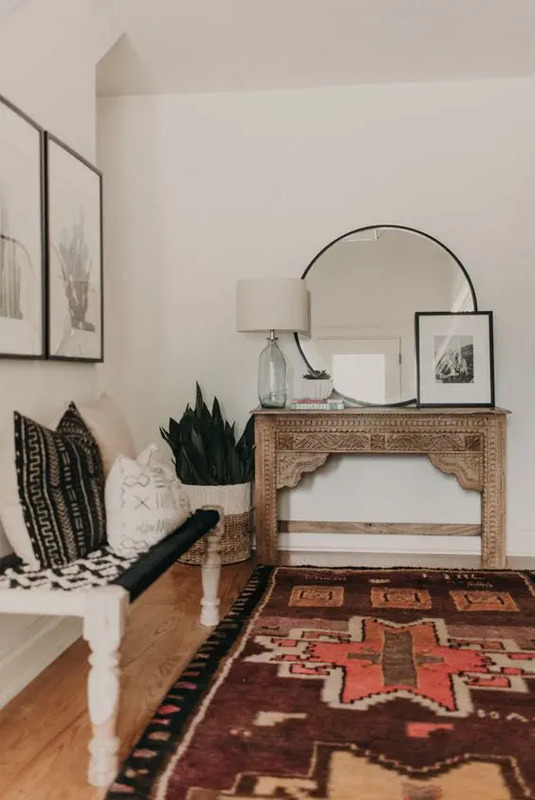 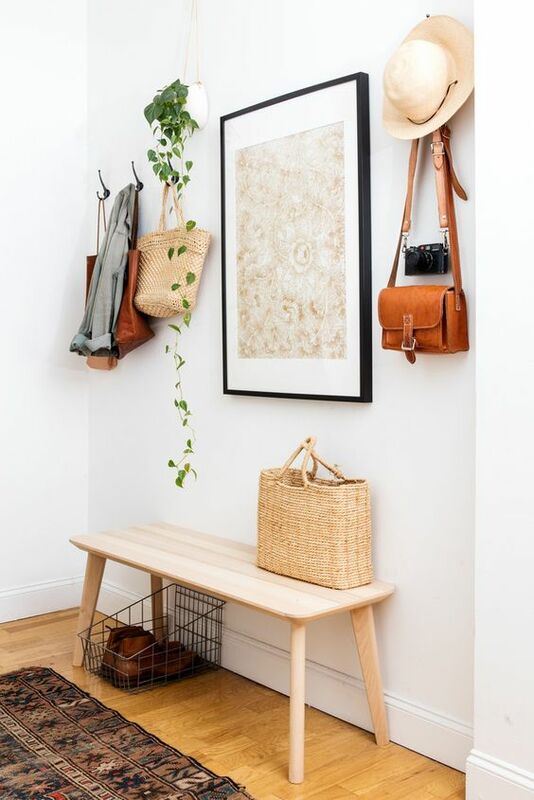 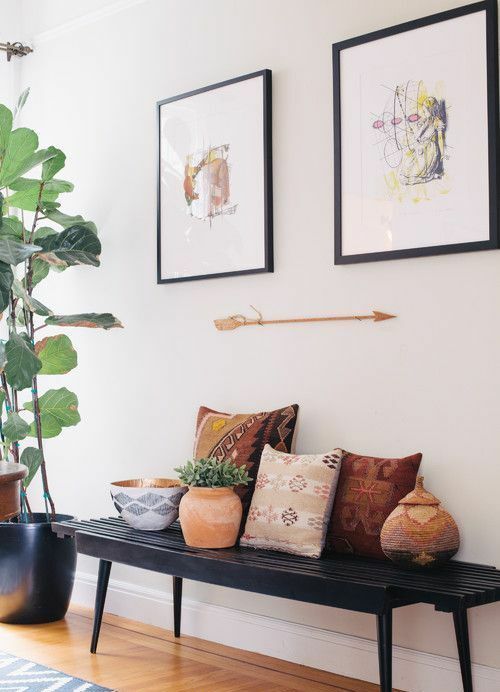 Decor and various accessories are very important for a boho space, they build it up, so go for various boho chic touches to make your entryway boho. 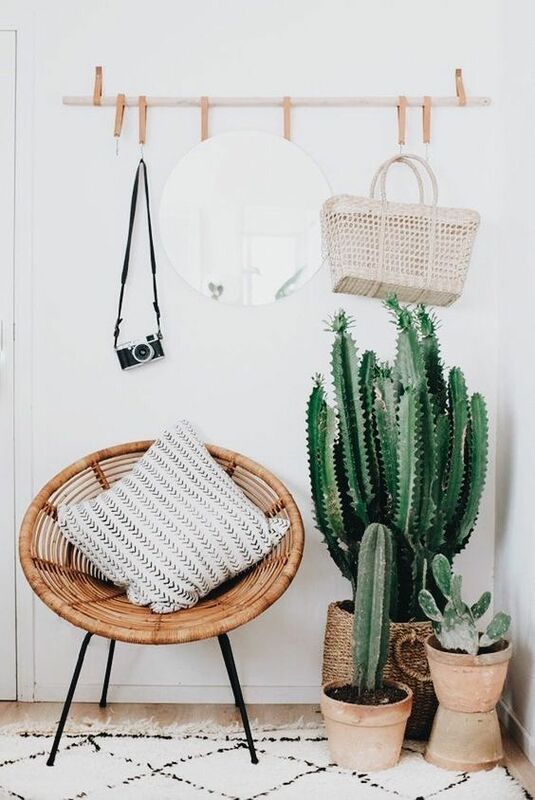 First of all, these are plants, cacti and succulents potted in baskets and woven plants, they will help a lot and create an ambience and enliven the space. 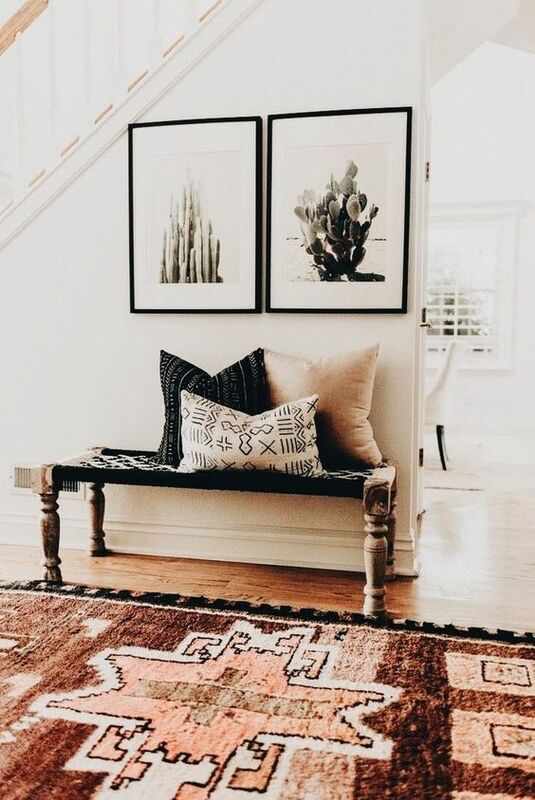 Second, go for boho textiles like leather and woven pillows, faux fur pillows and stools; don’t forget to place a boho chic rug. 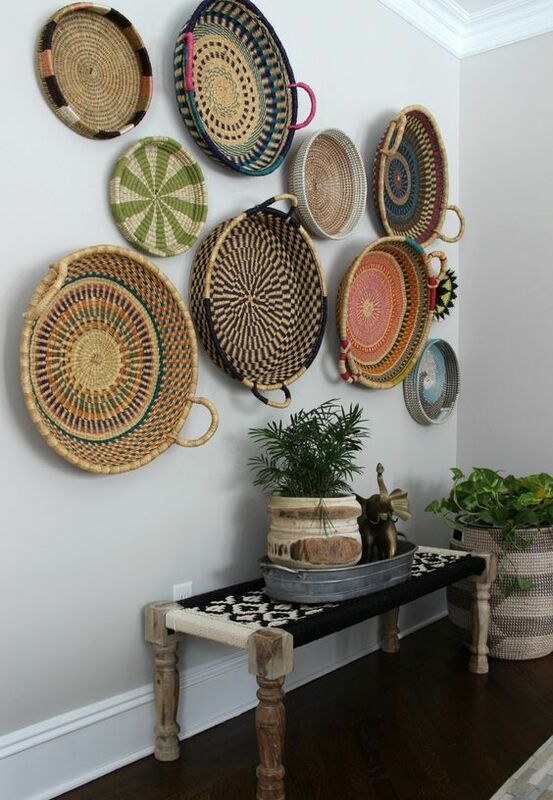 Third, think of some artworks – cacti ones, nature-inspired ones, or attach some baskets to the wall. 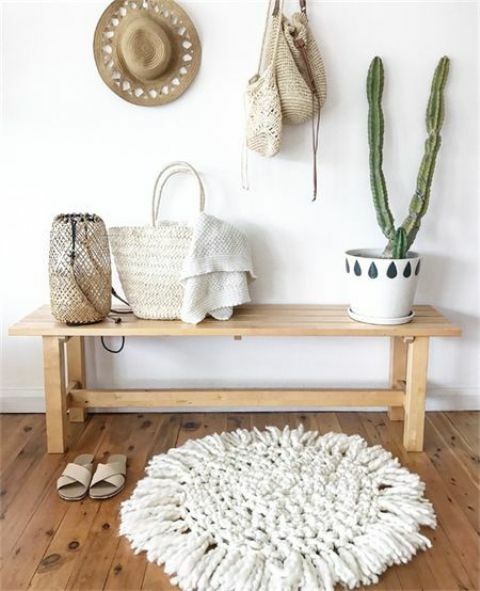 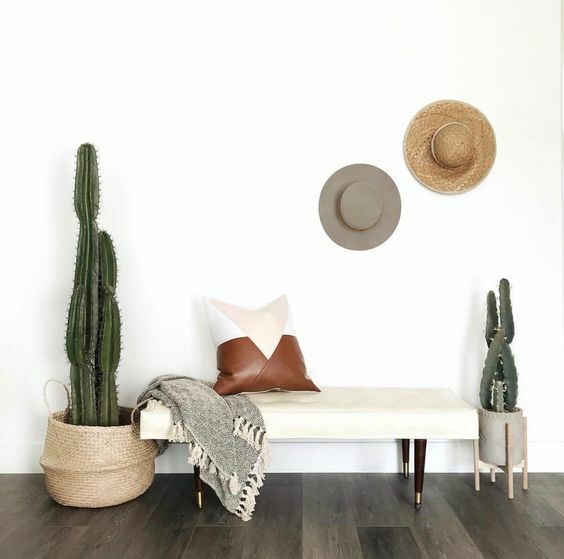 What’s amazing about boho chic style: you may use even usual objects and clothes to decorate the space – use hats, woven baskets, even vintage cameras hanging on the walls to create a mood. 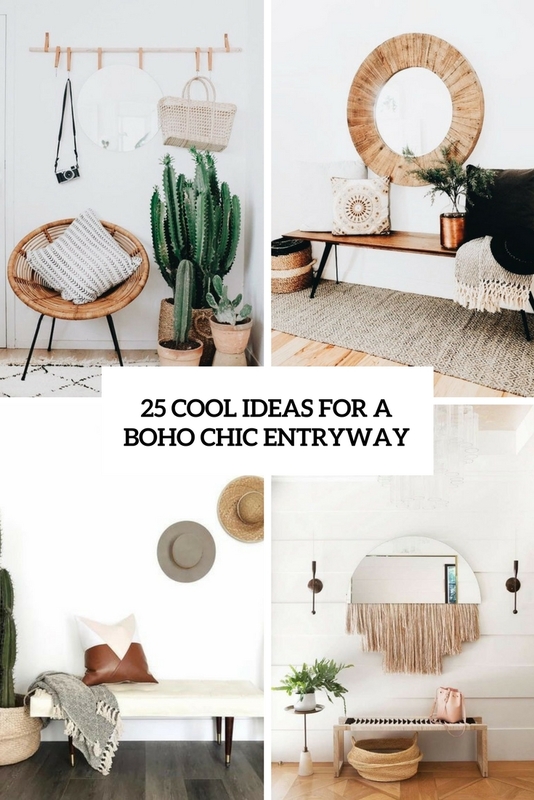 Get inspired by the ideas we’ve prepared and make your home boho!